Alfred Lehmann (1858–1921) was the pioneer of experimental psychology in Denmark. Educated as a natural scientist, he spent the winter of 1885–1886 in Wundt’s laboratory in Leipzig. Upon his return to Copenhagen he established the Laboratory of Psychophysics, one of the oldest laboratories of psychology in the world. It would soon become associated with the University of Copenhagen, where Lehmann gained a position in 1890. Lehmann was a tireless experimenter in his laboratory and an important contributor to experimental psychology in its first decades. At the outset of his scientific career, Lehmann focused mainly on the bodily correlates of mental states, emotions in particular. He was an early critic of the James–Lange theory of emotions. Lehmann was also an ardent critic of claims of the paranormal and did experimental work where he attempted to establish the “psychophysical conditions” for the widespread belief in superstition and magic at the turn of the 20th century. 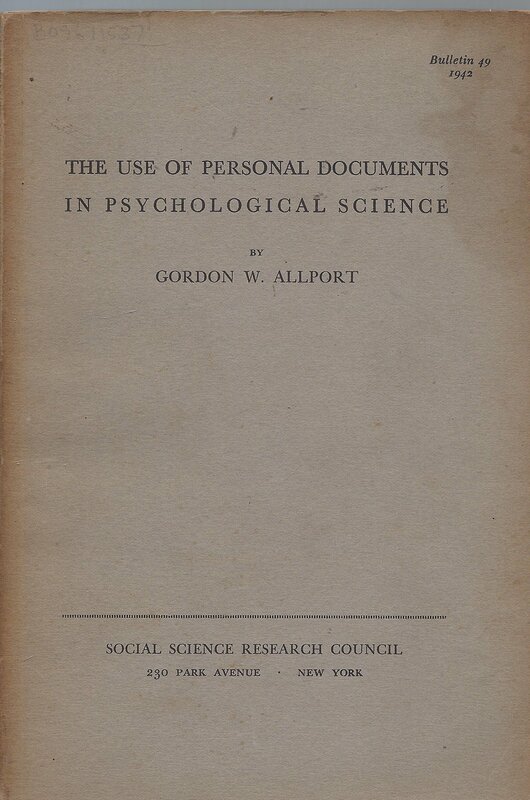 Near the end of his career, Lehmann embarked on work in applied psychology, simultaneously realizing his dream of establishing psychology as an independent subject at the University of Copenhagen in 1918. His new curriculum for a master’s degree in psychology emphasized experimental and applied work, free of the field’s earlier ties to philosophy. Lehmann’s turn to applied psychology was instrumental in the success of his curricular reform of psychology education. Drugs take strange journeys from the black market to the doctor’s black bag. Changing marijuana laws in the United States and Canada, the opioid crisis, and the rising costs of pharmaceuticals have sharpened the public’s awareness of drugs and their regulation. Government, industry, and the medical profession, however, have a mixed record when it comes to framing policies and generating knowledge to address drug use and misuse. In Strange Trips Lucas Richert investigates the myths, meanings, and boundaries of recreational drugs, palliative care drugs, and pharmaceuticals as well as struggles over product innovation, consumer protection, and freedom of choice in the medical marketplace. Scrutinizing how we have conceptualized and regulated drugs amid the pressing and competing interests of state regulatory bodies, pharmaceutical and for-profit companies, scientific researchers, and medical professionals, Richert asks how perceptions of a product shift – from dangerous substance to medical breakthrough, or vice versa. Through close examination of archival materials, accounts, and records, he brings substances into conversation with each other and demonstrates the contentious relationship between scientific knowledge, cultural assumptions, and social concerns. The medical intervention of ‘twilight sleep’, or the use of a scopolamine–morphine mixture to anaesthetise labouring women, caused a furore among doctors and early 20th-century feminists. Suffragists and women’s rights advocates led the Twilight Sleep Association in a quest to encourage doctors and their female patients to widely embrace the practice. Activists felt the method revolutionised the notoriously dangerous and painful childbirth process for women, touting its benefits as the key to allowing women to control their birth experience at a time when the maternal mortality rate remained high despite medical advances in obstetrics. Yet many physicians attacked the practice as dangerous for patients and their babies and antithetical to the expectations for proper womanhood and motherly duty. Historians of women’s health have rightly cited Twilight Sleep as the beginning of the medicalisation and depersonalisation of the childbirth process in the 20th century. This article instead repositions the feminist political arguments for the method as an important precursor for the rhetoric of the early birth control movement, led by Mary Ware Dennett (a former leader in the Twilight Sleep Association) and Margaret Sanger. Both Twilight Sleep and the birth control movement represent a distinct moment in the early 20th century wherein pain was deeply connected to politics and the rhetoric of equal rights. The two reformers emphasised in their publications and appeals to the public the vast social significance of reproductive pain—both physical and psychological. They contended that women’s lack of control over both pregnancy and birth represented the greatest hindrance to women’s fulfilment of their political rights and a danger to the healthy development of larger society. In their arguments for legal contraception, Dennett and Sanger placed women’s pain front and centre as the primary reason for changing a law that hindered women’s full participation in the public order.